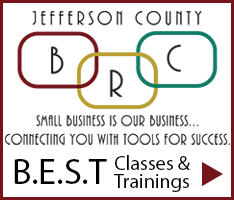 Jeffco BRC is a non-profit organization dedicated to supporting the small business community in Jefferson County, Colorado. Jeffco BRC partners with Wheat Ridge Business Association to help our member businesses find solutions for any challenges or questions we may have about doing business in Jeffco. We are also here to assist you with other needs or opportunities and offer guidance or direction when you need it.